As a bilingual law firm for more than nine years we believe in our responsibility to be a voice for our clients. We are committed to doing everything we can to obtain the best possible outcome for your case. Jose Sanchez Law Firm is a name you can trust to give you strong representation in cases involving immigration, personal injury, civil litigation and criminal law. Our legal team is a great asset to our bilingual law firm. I grew up in Longview and I am committed to giving back to the community where I spent my youth. 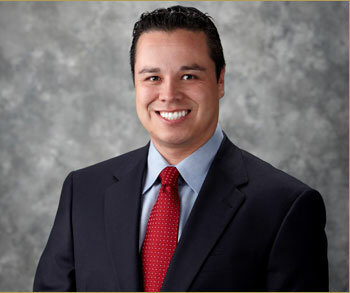 After practicing law at some other law firms, I decided to move back and open Jose Sanchez Law Firm, P.C., in 2005. Since that time, I have become a leader in the community as evidenced through radio, TV interviews, and newspaper articles. For more information, visit my Jose In the News page. A lawyer for more than eight years, I believe in my role of making sure clients are heard. I represent people, not large corporations. Jose Sanchez is a name you can trust to protect your rights in cases involving immigration, personal injury, civil litigation and criminal law. Contact me today for help with your legal issue. I have made a name for myself as a resource for immigrants because I have gone through the immigration process as an immigrant myself. I know how the process works. I understand that obtaining a green card or obtaining citizenship can seem difficult. I will explain eligibility requirements for naturalization and take the time to talk with you about your concerns. I speak Spanish, so non-English speakers can feel confident there will not be problems with a language barrier. In addition to immigration law, our legal practice includes personal injury, civil litigation and criminal law to provide you with a range of services to meet your needs. We can use our knowledge across these areas to develop a strong strategy for your case. We are not afraid to go against the norm, and we will do whatever it takes for our clients. We have led marches with immigrants in the pursuit of justice. For more information, visit the Jose In the News page. Our firm is a down-to-earth, hardworking group of people who provide honest answers and personal attention. We take the same thorough approach to every case — big or small. Our focus is the best possible outcome for your case. We will take the time to listen to your questions, explain each step along the way, and lay out expectations so there are no surprises. Call us for a consultation about your case. Immigration Information, News, laws, new resources, etc.